Get Trophies For Collecting Treasure! A video showing how multiplayer gaming will be like the Call of Duty: World at War. The video spans roughly 5 mins and mainly focuses on 2 player co-op gameplay, but up to 4 will be supported in the final game. I'm eager to see what this game will end up like. Will it compete with COD4? Knowing that COD5 is set back at the WWII timezone while COD4 was in modern timezone... Will this work? I mean, people liked the modern setting. Don't know if they can handle being back at WWII in Japan! I just hope Activision and Treyarch do a great job. Today, Sony announced that they're accepting applications to the Home closed Beta test coming at the end of this month. 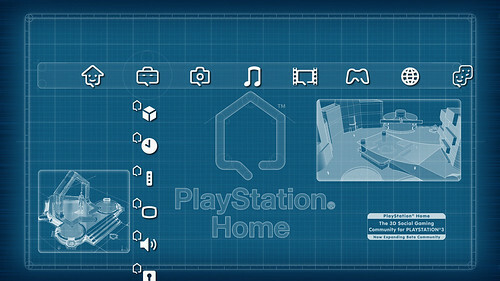 Applicants have to download a Home theme available right now on the PSN store. Testers (or lucky devils as I prefer to call them) will be chosen by a variety of criteria including activity on the PLAYSTATION Network to determine eligibility for the Beta community. SCEE (Europe Sony), however, will solely chose testers on their PSN activity! Tough luck for European applicants. This update was much anticipated and this bit of news is what's needed! I wish I would be chosen for the Beta test but judging by my PSN activity, I'd say my chances are pretty slim! In the recent "DK Sigma 3173" event in Tokyo, Square Enix showed off trailers for its trio of Final Fantasy XIII games, FFXIII, FF Versus XIII and FF Agito XIII. New scenes of the blond tall guy (Mr.33cm) and the reddish haired girl were shown along side the previously shown footage from previous trailers. "One scene in the trailer showed the three characters walking together in an icy area, at which point they suddenly found themselves surrounded by soldiers with guns. As the three members braced themselves for battle, Lightning actually showed some signs of anger on her face, which is probably the first time that she's revealed any emotion in the trailers." "In another scene, we saw the reddish-brown-haired girl being escorted by soldiers who carried a cybernetic-looking object in front of her that looked a bit like a wh ite coffin. The girl was wearing a white robe with her hands attached together, rather than the usual savannah-like outfit from previous trailers. As she walked toward a battle plane together with the soldiers, a blond-haired lady in a military outfit came out of the plane and walked toward her. We're assuming that she's some sort of commander or general working for the Cocoon's holy government." These quotes are from gamespot, there you can find the rest of the trailer walkthrough as seen by their eyes. Apparently, Square Enix is changing too much information these days! First, we are amused by the fact that Final Fantasy XIII is a PS3 exclusive only to have that shatter some time later. "Oh, FFXIII is also coming to the X360, possibly the PC as well! I hope we didn't delude you by our previous statement!". 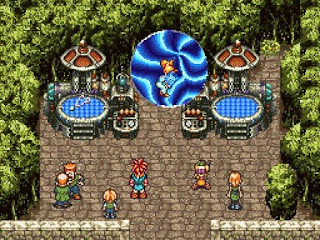 Now, we hear that Chrono Trigger isn't coming out to Europe anytime this year! C'mon Square Enix! Pull your stuff together! Things either are or they're not! NCSoft has shed a light on a new MMO in development. The new Korean mythology martial arts MMO, Blade and Soul, is built on the Unreal Engine 3 and is currently set for release only in Korea. One thing interesting about this game is its unique gameplay mechanism! I don't know if this game is a MMORPG or just a MMO in the likes of Rakion. Also, the visual style is astonishing! Let's all hope this simply amazing title reaches the shores of the international bay! If this game was anything like the video makes it out to be, I can point out a fun game! But I still have my doubts about this. I mean, this can't be really all real time combat! There are factors to consider, one of which the average internet connection speeds! Also, do you just mash the buttons? Or actually string together somekind of combos? And is there any capability to block or dodge? I gotta say, I wasn't one of NCSoft rooters, but if this game delivers what it promises, I'll sure become one! PS: Check out the video of this awesome game in the source link above! This is a video you don't wanna miss! Believe me on this one! Just yesterday, the patch to support trophies for Uncharted was released! Now you can play the game to achieve trophies. The game uses its already built-in "medal" system to offer trophies. Also, you have to play from scratch in order to get them, meaning the trophies aren't retroactive! The requirements to trigger a trophy is the same as for medals. So, if you already unlocked most of the medals (or just know how to get them, this site will surely help) it'd be no problem for you to start your trophy hunting. Thought I was dead, no? Well, I might've been. I had some problems that I had to deal with, still am. Well, who cares about my personal life when Square Enix releases new info about Final Fantasy?! 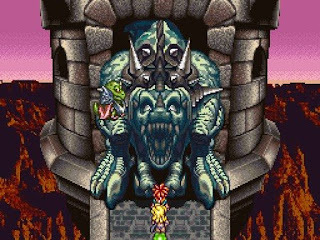 Recently (actually today) Square Enix announced some great news about its hit series. The "DK Sigma 3713" event held by Square Enix let attendees playe the latest demos and see the newest trailers from Square Enix. A demo of Final Fantasy XIII is said to be bundled with the Blu-ray version of CG movie Final Fantasy: Advent Children Complete in March '09. The demo disc will also include new high-quality trailers of Final Fantasy Versus XIII, which remains a PlayStation 3 exclusive, and Final Fantasy Agito XIII (a mobile game). Also, two games that were previously announced as mobile games are now coming the PSP! Final Fantasy Agito XIII and Parasite Eve: The Third Birthday. Oh, I forgot to mention that Final Fantasy XIII is confirmed, yet again, that it will receive a world-wide release date somewhere in '09! Dissidia: Final Fantasy is set for release this December in Japan on the PSP. I don't agree with Square Enix's plan to release Final Fantasy XIII to the Xbox360! I do, however, understand their motives. Sony PS3 is a marvelous system that is yet to prove its worthiness! But it's not failing in the console war in any way, yet! The recently release bombshell (MGS4) has surely made some damage to the Xbox360! I was hoping that Square Enix would be the next big bombshell! But, I guess they thought otherwise. But you can't really expect something else from the company that jumped ship early when the Nintendo was hot!